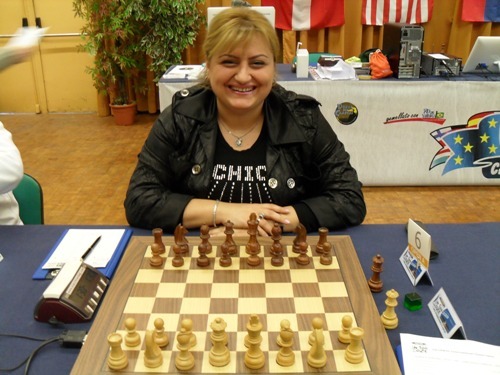 The final FIDE Women’s Grand Prix concluded today in Doha, Qatar. 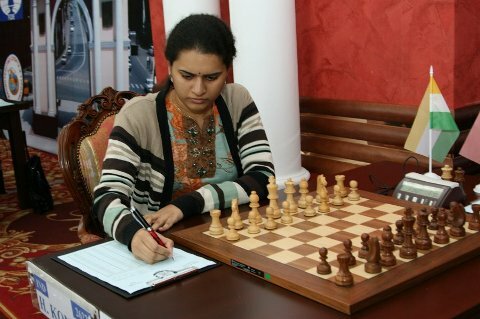 Elina Danielan of Armenia, who held the pole position throughout the tournament, and Humpy Koneru of India, after the strong finish where she scored 5.5/6, shared the first place with 8.0 points each. Koneru was declared winner on better additional criteria. Moreover, the last round victory, after a tense struggle with former World Champion Zhu Chen, pushed Koneru ahead of Nana Dzagnidze in the overall Grand Prix standings and awarded her the right to challenge the reigning World Champion Yifan Hou to a match. In the other games, Munguntuul Batkhuyag defeated the third-placed GM Marie Sebag and denied her of the chance to fight for the shared first place in Doha. Former World Champion Xu Yuhua won against Pia Cramling.